« Thursday: Compartes Chocolatier and then the Phillip Lim Boutique for Fashions Night Out! Nom Nom Truck is going to be busy today! We start out with lunch in Brentwood at Compartes Chocolatier, then head over to West Hollywood for a special event (everyone is invited) at 3.1 Phillip Lim, and finally hit up USC frat row! Hopefully we dont run out of food before our triple shift day is over! UPDATE: It seems my last little note was somewhat prescient. 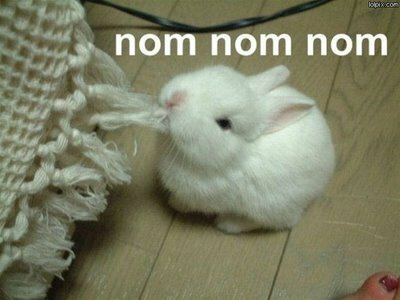 Our special pickled carrots and daikon have run short and we wont have enough to serve USC for a late late night shift! Weve searched far and wide all over San Gabriel Valley, but even with all the pickled veggies we could gather from super markets and our supplier, we STILL wont have enough. =T Sorry Trojans, well try again next time. Well be at Compartes Brentwood boutique at 912 S. Barrington Avenue for a fun Summer lunch from 12pm till 2pm! In addition to grabbing some delicious banh mi from Nom Nom Truck, Compartes will also be slangin chocolates + ice creams + coffee + iced coffee and fresh chocolate dipped fruit goodies! 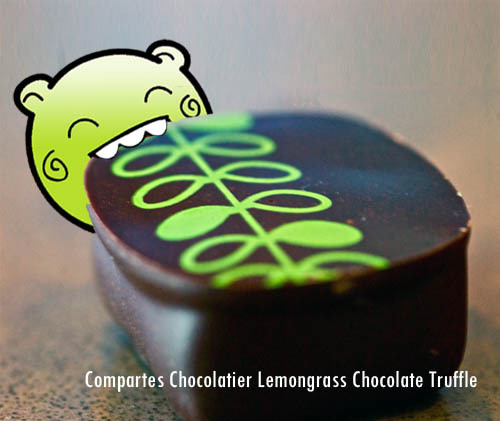 They even have a lemongrass chocolate truffle to go with our famed lemongrass chicken tacos! Sit and relax on Compartes newly renovated patio lounge and listen to music by their fountain, munch on delectable treats – the perfect way to spend a Summer afternoon! Phillip Lim Boutique Fashion Night Out Special Event! (6pm to 8pm at 631 N. Robertson Blvd. in West Hollywood) free banh mi to first 50 people to arrive! Nom Nom Truck is honored to be invited to Phillip Lims beautiful Los Angeles boutique location to serve our banh mi to hungry fashionistas tonight! The first 50 people to arrive will be treated to a FREE BANH MI, courtesy of Phillip Lim! UPDATE from above: Our special pickled carrots and daikon have run short and we wont have enough to serve USC for a late late night shift! Weve searched far and wide all over San Gabriel Valley, but even with all the pickled veggies we could gather from super markets and our supplier, we STILL wont have enough. =T Sorry Trojans, well try again next time. Were finally set to hit up USC on a late Thursday night! On previous visits to USC, many students advised us to come to frat row for a late night shift. Wellhere we come! The fine people at Alpha Kappa Psi have agreed to let us park in front of their house right on frat row, so well be right in the middle of all the late night revelry! If you are interested in joining a professional business fraternity, consider Alpha Kappa Psi! 3 comments to Thursday Special Schedule! Im in Alpha Kappa Psi at USC! Who contacted you guys to come out? I have a great place for you in downtown la! Please do a better job of updating your schedule on your website. Twitter is fine for quick updates, but trying to follow you regularly that way is super annoying. Please set a schedule at the start of the week so I can plan accordingly LOL! 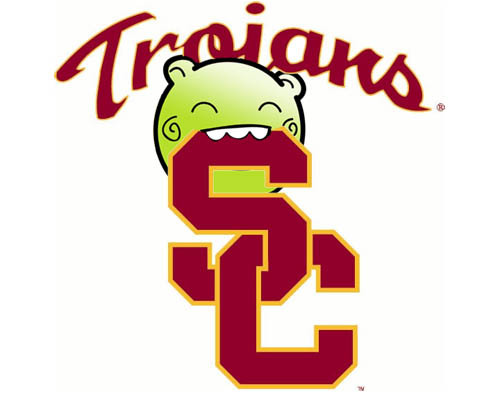 Come to USC sometime soon!